Time-saving "Find First" feature (virtually eliminates duplicate files.) Paper Tiger helps you minimize duplicate files by actively searching while you're adding a new item. 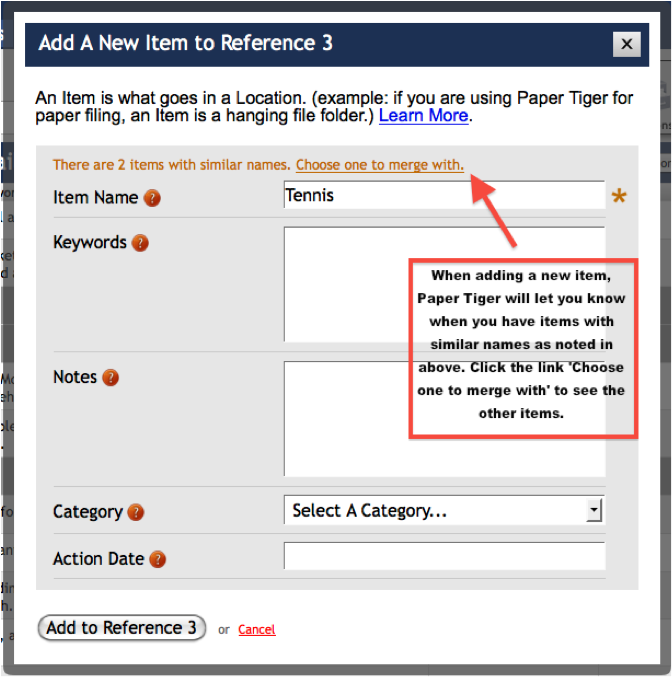 You can choose to merge the new item with the item already in Paper Tiger or you can add the new item. It acts like a good admin! When creating an Item, as you begin typing the name, Paper Tiger alerts you of other Items that has similar names or keywords. 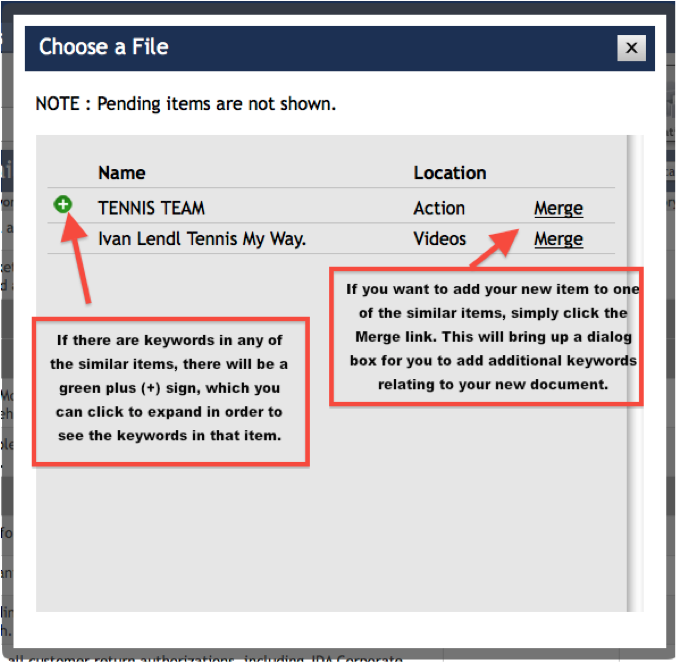 This way you can tell Items that are related by name, which you may want to merge the information together. A link appears above the Item text box notifying you of the number of Items containing similarities. 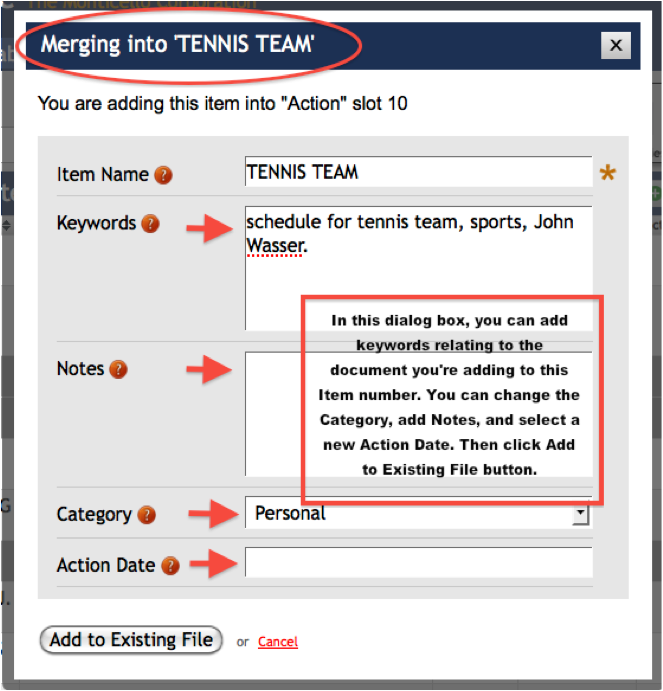 If you want to merge the Items, pick one of the Items in the list in which you want to merge the new Item. Note: this function is currently disabled for Locations larger than 500 items.